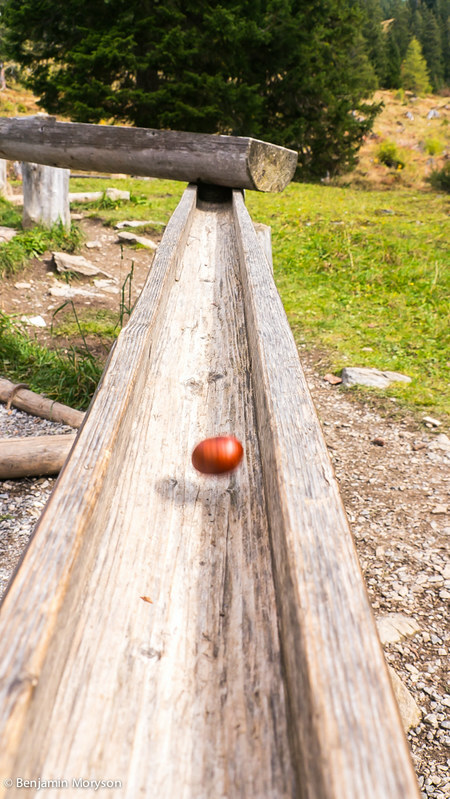 In autumn we spent our yearly holiday with the kids in the beautiful Hasli Valley in Switzerland. It was our fourth time there and we still found new things we did not know before. 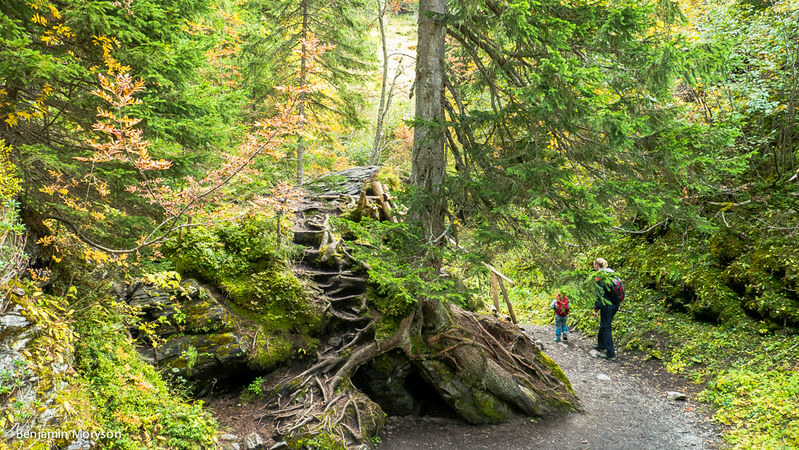 To entertain the kids we searched for a hiking trip which was not too long, but versatile and with many attractions. 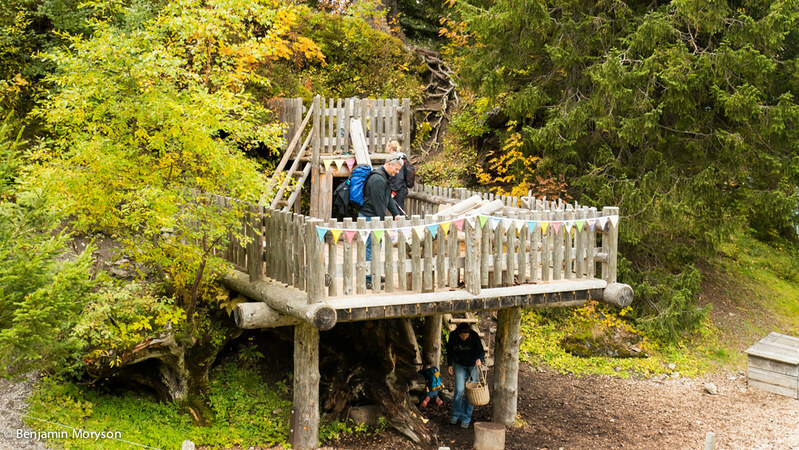 The Dwarf Adventure Trail. 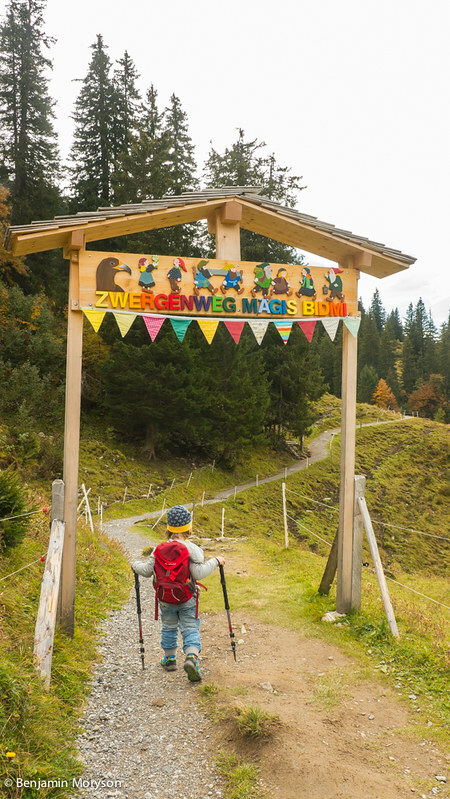 This is a 5 km long trail from Mägisalp via Gummenalp to Bidmi. 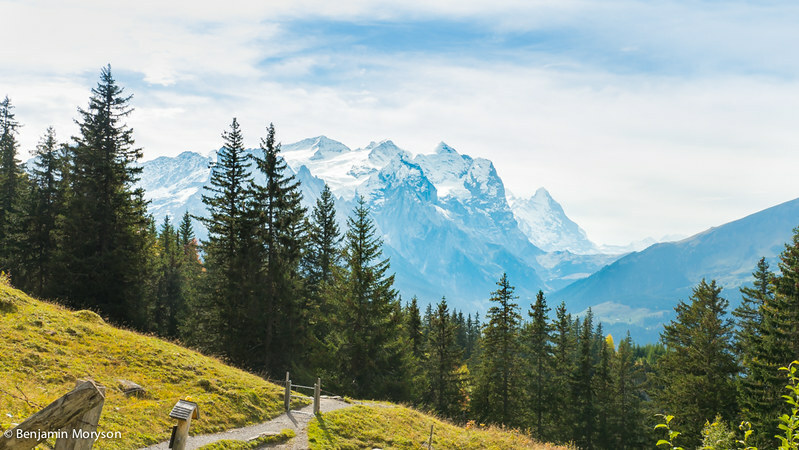 This trail descends gradually over alpine meadows and through pine forests with lots of beautiful viewpoints. 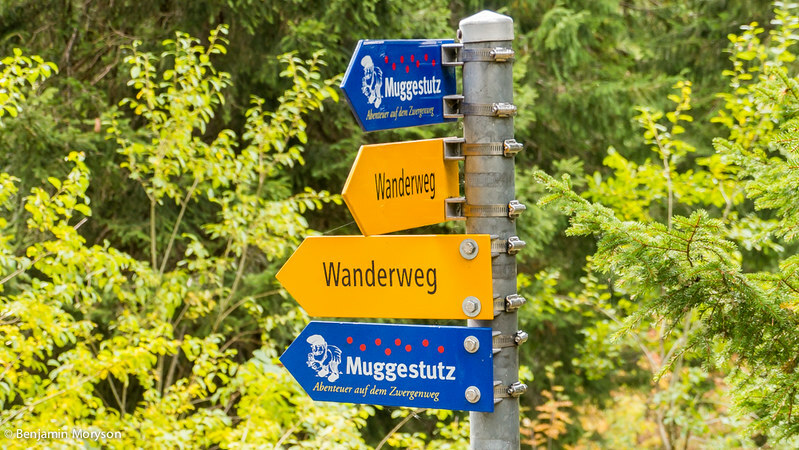 As you should know dwarfes have a long tradition in the Hasli Valley and Muggestutz is the oldest one of them. 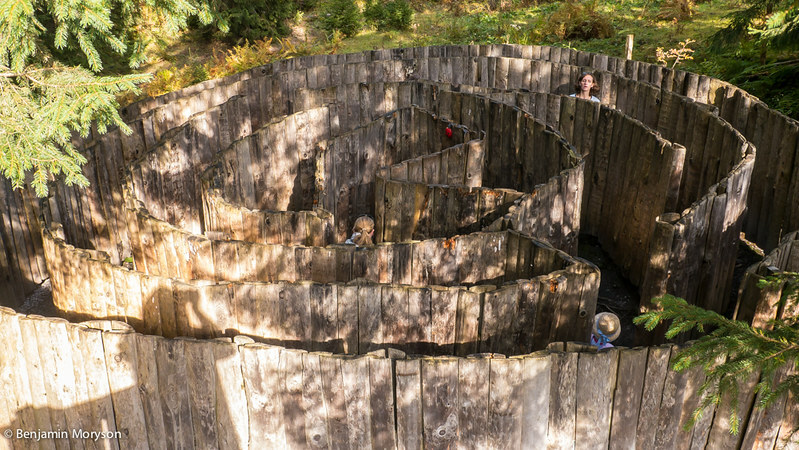 He experiences many adventures along the Dwarf trail and children can actually follow in his footsteps and enjoy activities along the way, such as the pine cone drying station, the eagle swinging the crystal cave. 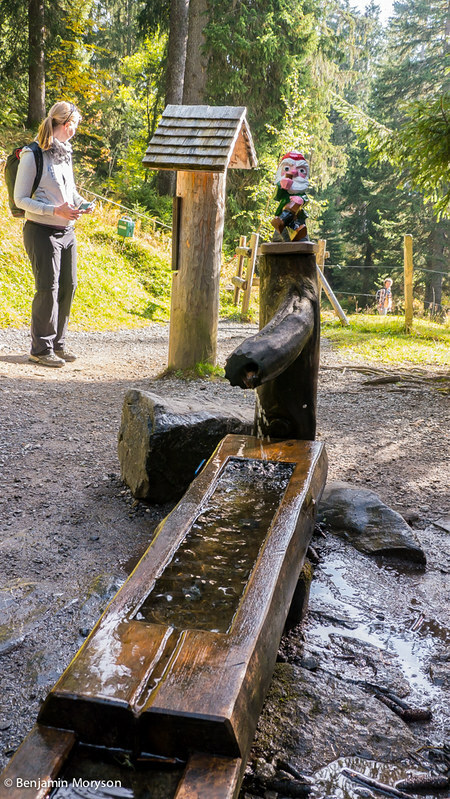 The Dwarf Trail starts around 1700m about sea level and if you do not wanna walk all this way up you can take the cable railway from Meiringen. 40Sfr for adults you have to pay for a Dwarf trail ticket for the cable railway up and down, if you reach the last one just in time. 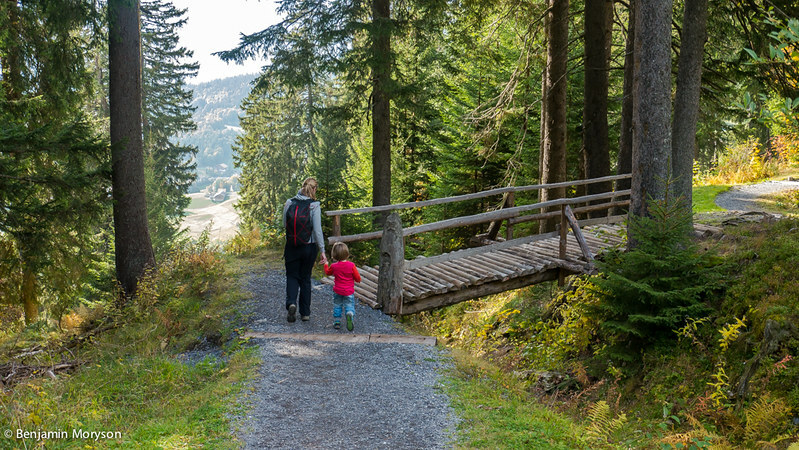 Two hours pure hiking time you need for the trail, with children many times longer because they want to discover everything along the trail and they need more breaks to recover. So it always good to bring along a backpack with snacks and cold drinks. The pine cone drying station was the first stop with lots of activities. 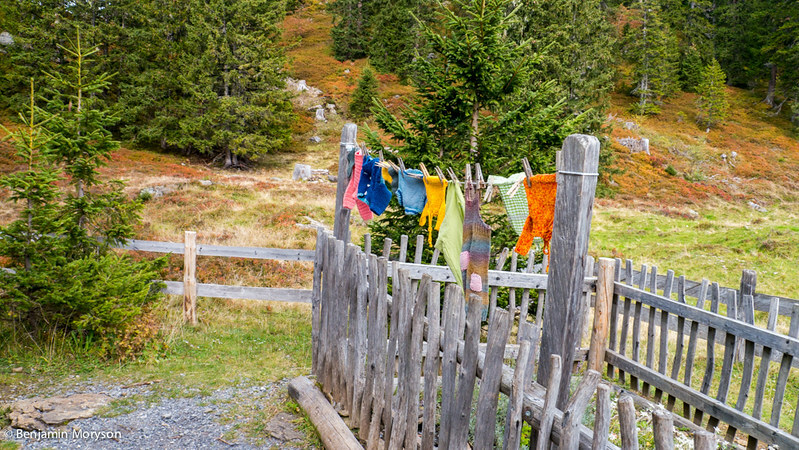 Children can pick up fresh pine cones, pull them up with a lift to the drying area and then to fill the dry pine cones into storage bags. 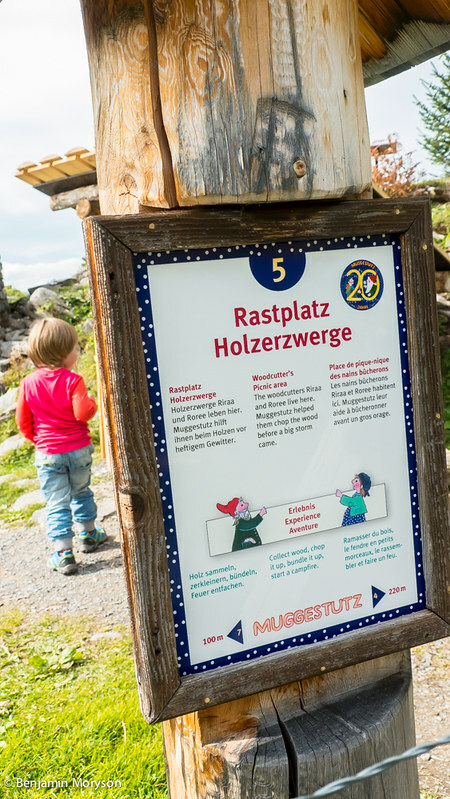 At every stop there is a information sign with the story of Muggestutz the dwarf, the activities children can do and the distance to the next attraction. The story of Muggestutz briefly told. 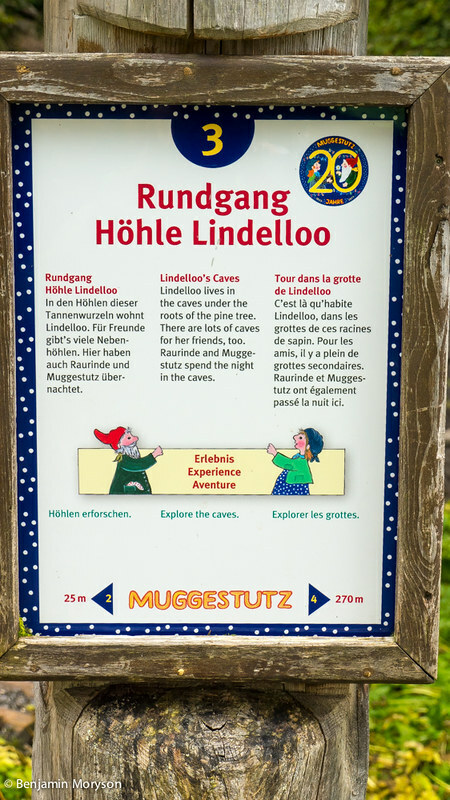 Muggestutz is looking for a present for his wife Raurinde for he name day. While his eyes are bad Raurinde follows him secretly and helps him find a nice gift for her without him noticing anything. Half of the way there is a beautiful picnic area with fire places and dry wood. 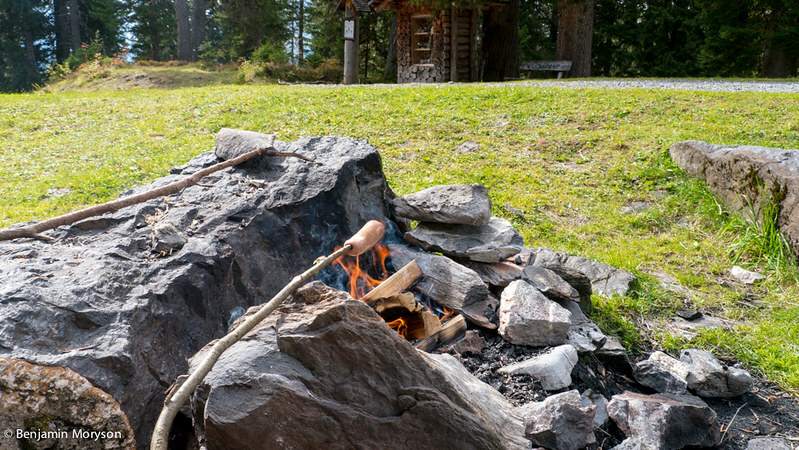 You can start your fire and prepare a snack or a hot coffee. A big wooden marble run invites children to play if they won’t rest. I definitely needed a break because I carried our youngest the whole way in a child carrier. We decide to grill some sausages on a wooden stick and grilled banana for desert. The trail is well signed. A dwarfs house and garden invite to play. Children can come into the house and sit on the tiny dwarf chairs and learn how they life. Everything is well made with lots of details. 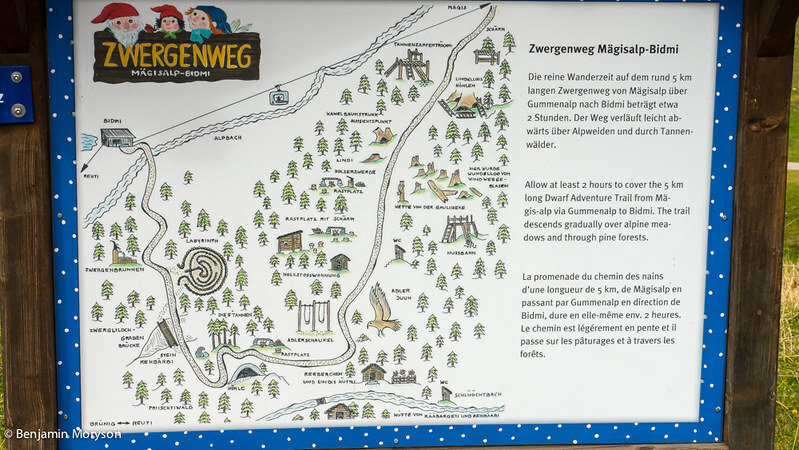 After few steps over the Zwerglilochgraben we arrived at the labyrinth. .So far so good we made it out of the labyrinth and finally reached the dwarfs fountain, the last point of the trail. After a short refreshment we had to hurry to get the last cable railway back to our car. 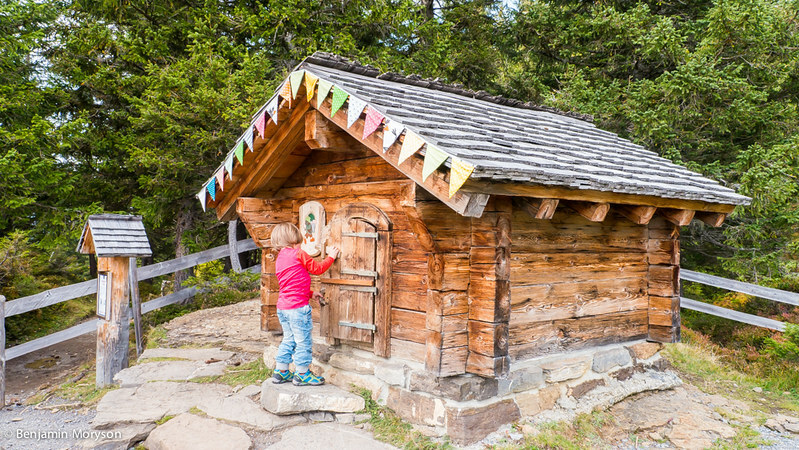 The Dwarf trail from Mägisalp to Bidmi is one of two trails. 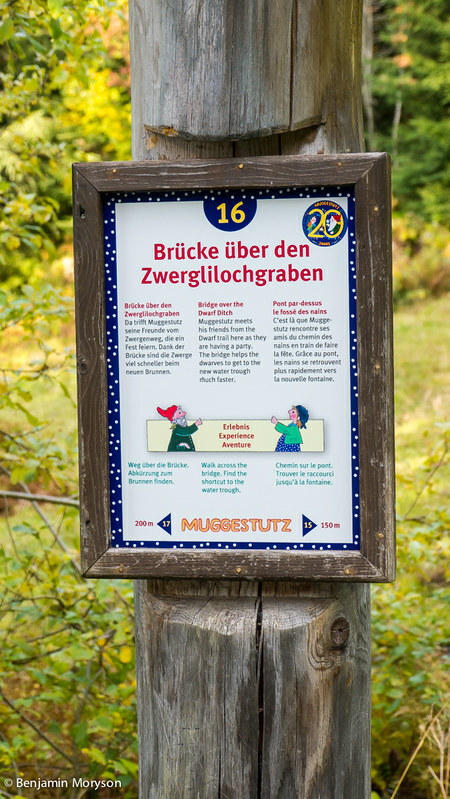 The story of Muggestutz continues and the new trail leads from Käserstatt along Balisalp to Bannwald and back to Lischen. This new trail is 3km long and takes around 1,5h to walk. Again, there are many opportunities for children to play when they follow the new trail. 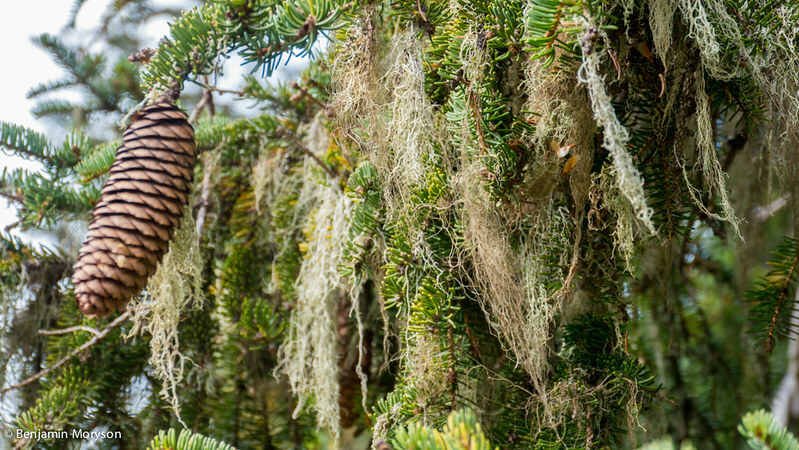 It follows also along high alpine swamps, over alpine meadows and through pine forests. There are affiliate links in this article to finance the blog. I did not get paid to write this article. I am a signer of the Outdoor Blogger Codex. For more transparency read this Codex.